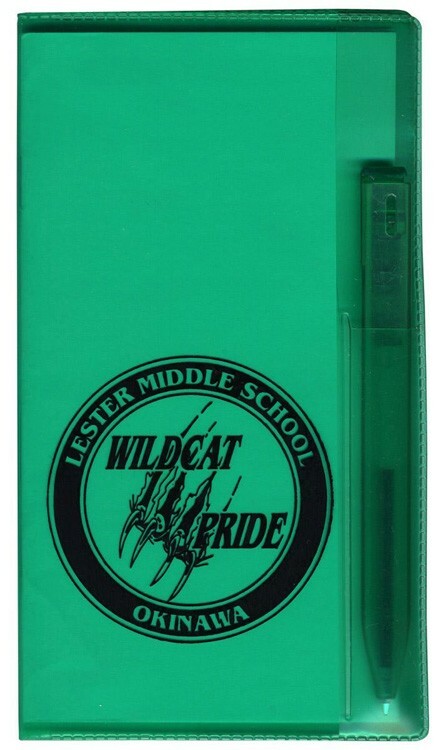 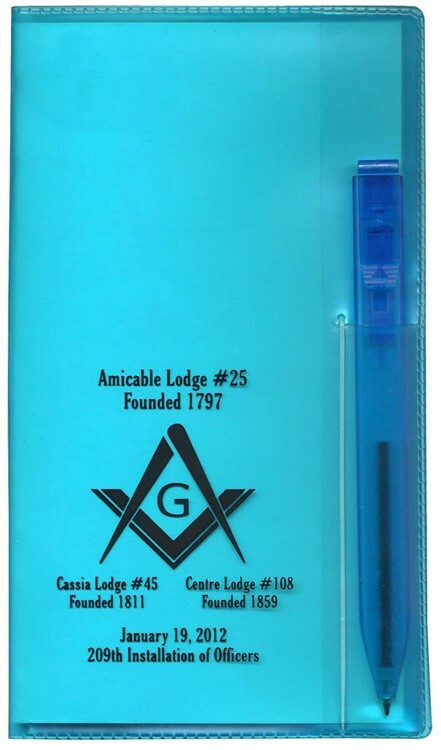 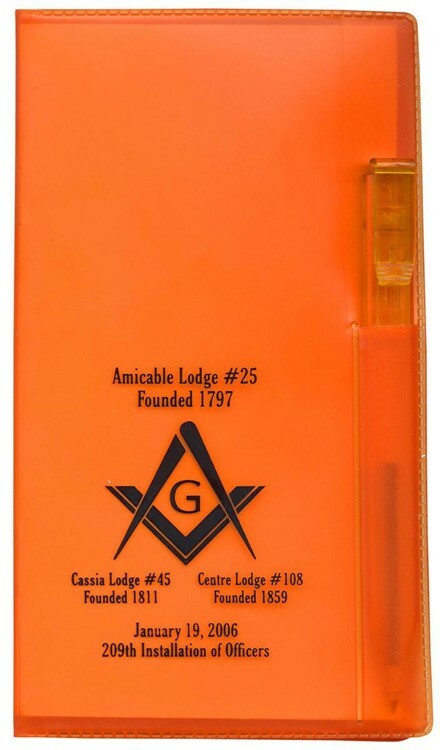 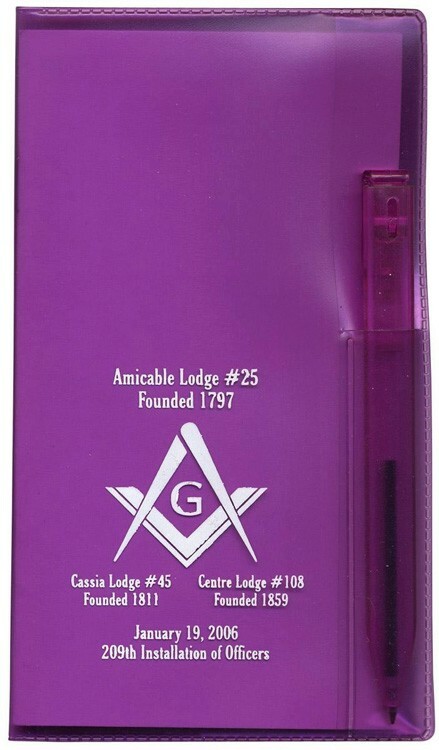 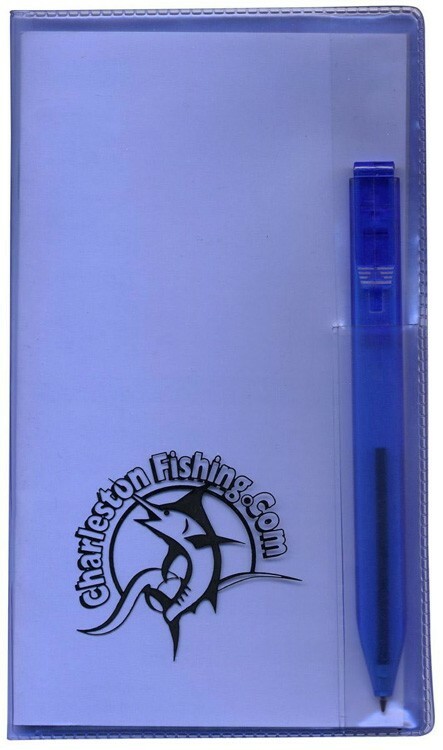 Translucent Vinyl Pocket Planner with a flat, matching color Translucent ballpoint pen in a front cover sleeve. 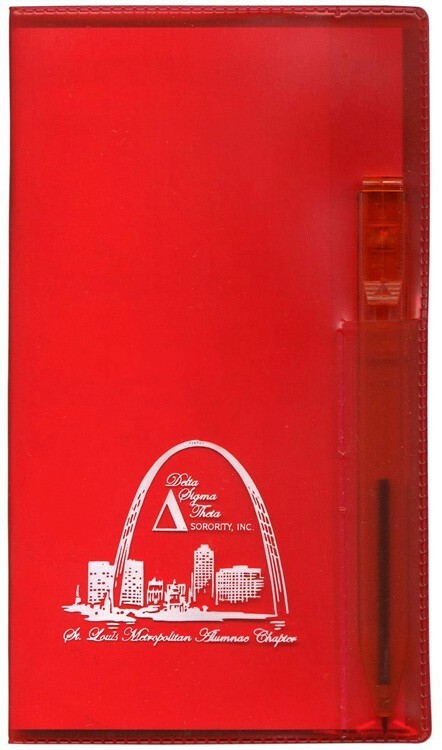 3 3/4”w x 6 5/16”h (closed size) is refillable and available in 8 bright “Translucent” vinyl colors and features a 2 color Burgundy & Black printed week in view, 128 page 14 month calendar with an 8 page full color map section. 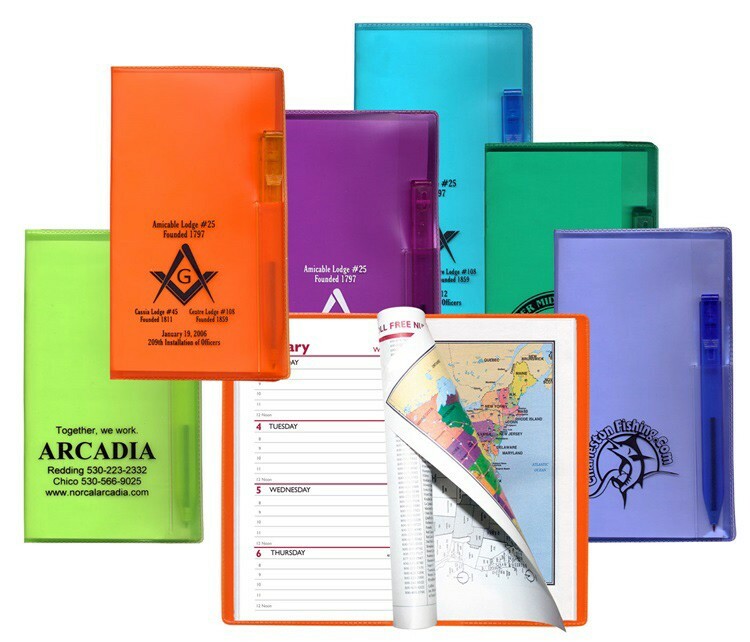 Calendar refills feature a 3 year calendar page, personal info page, special days, metric conversion, weights & measures, 1st Aid page, Julian dates, time zone/area code map and much more. 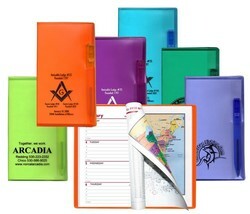 Prices include a 1 color foil stamped imprint on the vinyl cover. 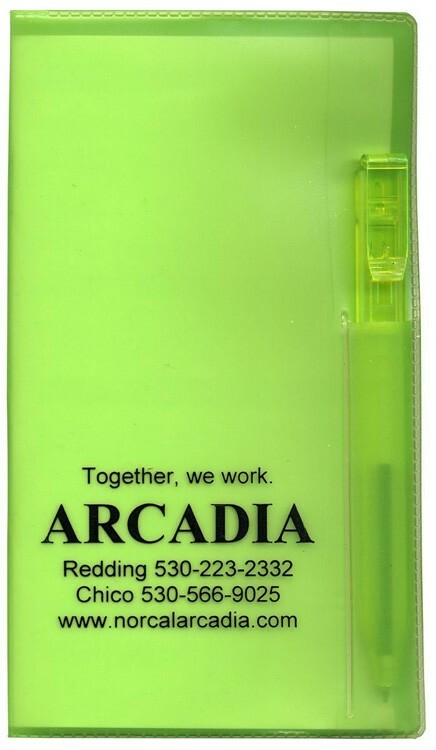 Optional silk-screened multi-color imprinting available as well as several additional insert options, see “Options” above.